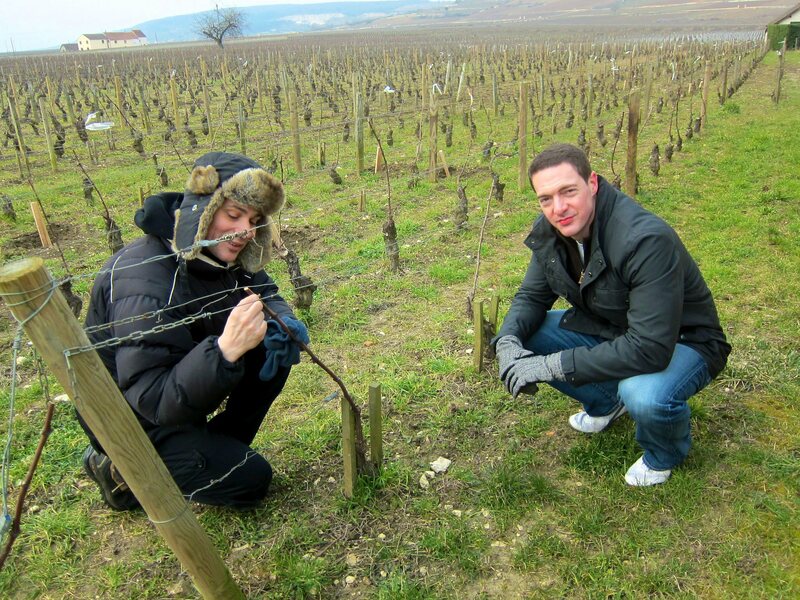 The Bourgogne (aka Burgundy) region is very interesting and unlike most of the wine regions we had visited. Because of the varying soils throughout the region, the wine can taste vastly different in one area versus the other. As a result, the most prized Bourgogne wines come in smaller quantities and with a pretty price tag. This region is known some for its red but mostly for its white wines made from Pinot Noir (34%) and Chardonnay(49%) grapes, respectively, and occasionally including Gamay (10%), Aligote(6%), and Sauvignon, Cesar, Pinot Beurot, Sacy, Melon (collectively, 2%). I found this website to be helpful in getting to know the region. We stayed at an awesome B&B called Chez Marie. Our room was L’Annexe. It was very spacious and could accommodate a full family as it included an upstairs sleeping area and downstairs main bedroom, kitchen and sleeper couch. The only kink we had was a cold shower, which they tried to fix while we were there which came with an improvement, but not with hot water. I imagine this problem would be fixed by now. The family was very nice and the breakfast is traditional French with small pastries, yogurt and jams. Their English was enough to hold a conversation. We had dinner at Aupres du clocher . It is in the town of Pommard. Some friends of ours also ate here and were as equally impressed with the food. My husband still talks about the St. Jaques scallops with forest mushrooms! I do recommend to make a reservation if you plan to go for dinner. However, they also serve lunch. We took a tour of the Olivier Leflaive vineyards. Our guide, Simon was great and his English more than sufficient. The tour was really informative and we happened to be the only people wanting to take the tour that day so it was a private tour for my husband and I. 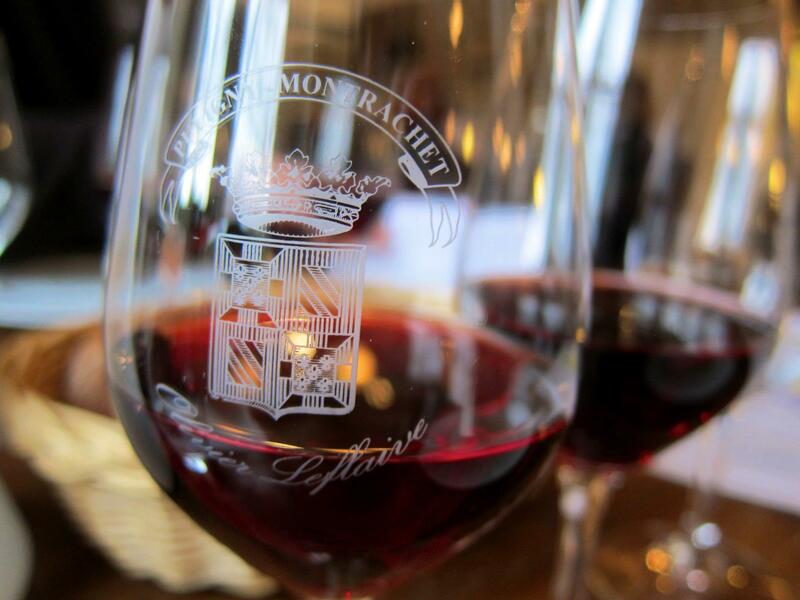 After the tour was over, we opted to stay at Olivier Leflaive for lunch and supplemented with a wine tasting…after all, we did come for wine! The food was really good and the tasting done very well. We ended up buying several cases to take home with us. We also had interest in buying one of their barrels as it’s unique to some of the other barrels we had seen. However, we had challenges getting into our Euro-sized car so that plan was foiled. As a general note, a lot of the houses are small in production so knocking on a door to do a tasting comes with some expectations that you will buy…. Check out one of the wine stores in the villages that will do tastings. This way if you plan to buy, you can buy from several different producers to fill a case instead of a full case here and there at each house. We went to La Cave de l’ange Gardien because Sensation Vin (see below) didn’t have any availability during our stay. We enjoyed the tasting and ended up buying a couple cases to take back to Brussels. The tasting experience was very relaxed. We were taught as much as we wanted to know about the wines but as the tasting included several others, we quickly realized that some were more interested than others in learning about wine making and the grapes. The wine connoisseur looking to be fully educated in Bourgogne wines may not appreciate this style of tasting. 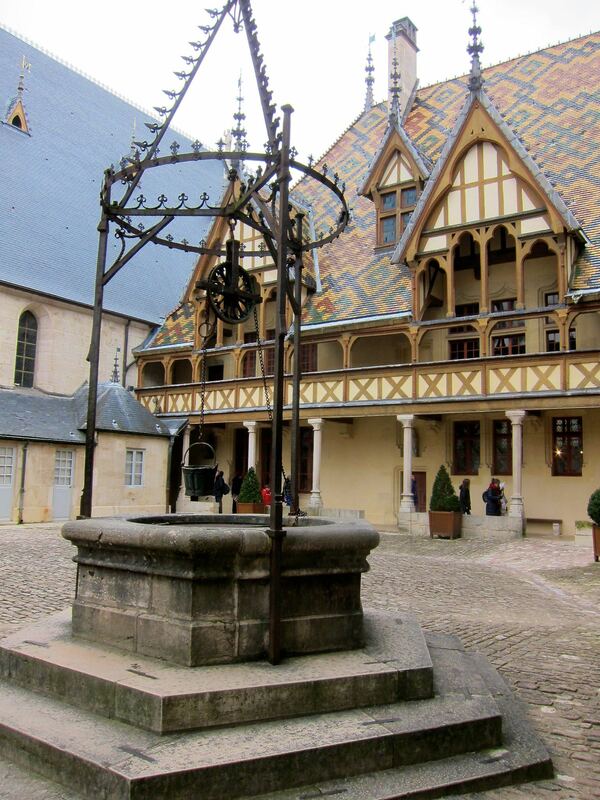 Check out Hotel Dieu, which is actually an old hospice. We found it to be very interesting inside and Hotel Dieu has beautiful architecture with the traditional Bourgogne roof. 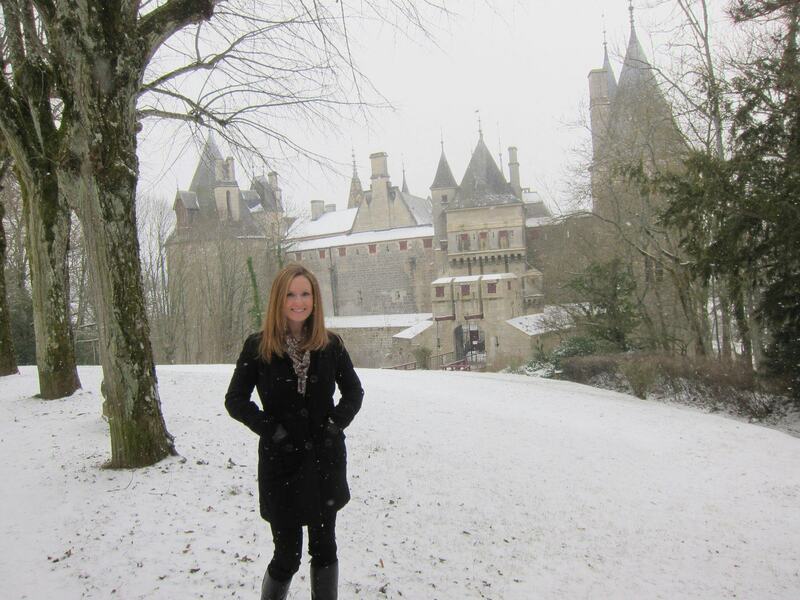 There are several castles in the Bourgogne region so we felt it would be nice to do a scenic drive to check them out. We used Rick Steve’s scenic drive tour but you can also find some tips here on where the castles are located. On a nice day, rent a bike and bike through the vineyards…. There is something very relaxing (and beautiful!) about acres and acres of vineyards. Sensation Vin is a wine place in Beaune that offers various types of tastings. Our friends had intentions to go but they didn’t have availability when they went. I think the lesson here is to make a reservation well in advance! There’s a Sunday market in Beaune if you want to check out what the locals do on the weekend. Perhaps you’ll find some treasures to take home! This entry was posted in Bourgogne, Travel and tagged Bourgogne, Burgundy, castle, Europe, France, grapes, harvest, Hotel Dieu, Olivier Leflaive, travel, vineyards, wine. Bookmark the permalink.